So Windows Home Server 2011 is out, but it is missing a major component that I really liked about WHS (and what made WHS unique) – Drive Extender. Basically, in WHS v1, you could add a drive to your machine, and WHS would add it automatically to its “storage pool”. From there, my files would get distributed and duplicated across the new drive. That means in case of failure, my files are fairly safe, and Drive Extender removed most of the concerns about sizing drives properly when you do a “hardware RAID” type solution on regular hardware storage options. In Windows Home Server 2011, they removed Drive Extender. But I wrote about why I don’t like that already. So, I bought an HP MediaSmart Home Server just after they decided to pull the plug on them. (Why? Because they’re nice boxes and 64 bit – so if I decide to jump on WHS 2011, I can do it manually.) But, I wanted to add a big big drive, and WHS v1 doesn’t like anything above 2TB. First off, there are a few tutorials and threads about doing and not doing this. I elected to do it, but your mileage may vary (YMMV). Because there are other places to get this information, the only reason I am writing this is to clarify the most prevalent tutorial. Also, I bought a Hitachi 3TB CoolSpin drive at ~$150 (model: HDS5C3030ALA630). And since it behaved slightly differently than the tutorial, I believe that more people may start running into this particular roadblock due to the price being so attractive. Learn how to “Copy and Paste” from the “cmd.exe” or Command Prompt. This will be your friend. You basically select “Mark” from the Command Prompt window menu, highlight your text (which is a bizarre rectangle, not like in Word), and hit the Enter key. We’ll do this a few times. It is important to know what’s different about this drive. First, absolutely DO NOT install the Hitachi GPT Disk Manager software yet. This software installs drivers to address the drive as a GPT Disk and will screw up how WHS sees the drive in general. It will fail the initial provisioning process in the drive pool. OK, so the drive will show up in WHS in the drive pool as 768GB. It will not appear as anything larger (as the tutorial indicates). Alright, so here’s how I would proceed knowing what I know now. Basically use this as “additive” information to the original tutorial. I will only try to clarify the unique parts (noted in bold type). Save your Notepad file. Close everything you have open. Navigate to the new C:\fs mountpoint of your new drive and make sure Explorer’s View settings show you System and Hidden files. The next part may vary. Perform Step 9. Open the Hitachi GPT Disk Manager and select the first option (Convert disk to GPT). Then select the second option (Create Partition) at maximum size and format it NTFS. It will mount it as a drive letter. The tool may ask you to reboot. If so, close everything, reboot and you’ll need to go back to Step 7, stop the services, and come back here. At this point, WHS is angry, but you have a big partition mounted as a drive letter. We need to fix that. That’s ALL the information you’ll need to finish the tutorial steps. Save the Notepad file. Basically, you need to carefully read the second “Step 11 and Step 12” to learn how to find the keys, but you have all the information you need in Notepad! The tutorial references keys in this other posting to finish http://hardforum.com/showthread.php?p=1035306055 (#25, 26, and the first half of 27) so you can see some visual representations of what they’re doing. To help you out, my 3TB “Size” was 3000591450112, and “startingoffset” was 1048576. But if you have a different drive, you would have different numbers. So, my experience took a bit longer than you might imagine due to installing the Hitachi GPT tool too early. The GPT drivers totally screwed up WHS’ ability to provision the drive. Once I uninstalled it an started over, everything went fine. It’s important to note that there are “Drive Extender like add-ins” coming to WHS 2011. The two I know of are from StableBit (DrivePool) and Drive Bender. And since WHS 2011 understands big drives, none of this would be necessary. So, this may be a temporary situation for me. I’m trying to install the Hitachi GPT Drive Manager software, but it tells me “No ultra-capacity device found. Please connect HITACHI ultra-capacity hard drive to your computer and execute the installation package again.” The drive is installed (WHS initially partition it at 764GB), so why won’t the software install? The first part sounds right (the 764GB). So, try this – (and your mileage may vary, I can’t say this will work) – get past the point where you copy the files WHS created on the 764GB partition so you’re ready to delete that WHS partition. I think you need to proceed with the WHS partition “delete” so the Hitachi drive is back to its “unformatted, unpartitioned” state. This will wipe the MBR partition off the drive (which should tell the Hitachi software “hey! there’s a big GPT drive here!”). You’ll need to reboot and hopefully pick up the tutorial again. I probably got past this because I did everything out of order (installed the drive, the software, and then couldn’t do anything with WHS). So you’ll need to stop those services a few times after the reboot etc. Just make sure you note all the disk ID’s and stuff prior to deleting the partition in Disk Manager. Again, I think the MBR partition that WHS is preventing your GPT installation, but that’s a theory. Wow, that’s weird. I would definitely try removing and re-installing the drive to see if it installs the software. I’d also make sure in Disk Manager on the machine that if you “Right Click” the disk itself (not the partition – click way over on the left side) that it offers you the ability to make an MBR partition. If it doesn’t give you the choice to make an MBR partition, then GPT won’t see it either. If you call Hitachi, just tell them about the software install failure and that you partitioned it at 768GB. This has definitely happened to other people. It’s not a WHS problem. Thanks for the post but like Toby, the hitatchi software simply won’t install as it says it can’t see the disk. I’ve tried reformatting, changing it to a drive letter, going back and resetting it up on a win 7 machine and adding it as a different drive latter, not even part fo the pool and it will simply not see it. Not sure if the driver is an issues as it is from 2002 but don’t see a way to upgrade that. Could be your system hardware is different/newer that is better supporting the drive. I’m running a HP Mediasmart server v1. After I installed the 3 TB disk and got everything working, I started copying my movie files over. Everything went well until about 1 1/2 TB left on the drive then everything came to a screaching halt. I watched the network monitor and it would peg out at 100% for about 10 minutes, then drop to 12% for another 10 minues…then 0%. The only way to re-gain access to the WHS was to reboot. So I decided to go buy a 2TB (which I knew would work) and remove the 3TB…After I put the new drive in all has been fine. I must have (/ had) less than half the drive used on my server so far, so I haven’t seen that problem. Maybe there is a limit in the Drive Extender somehow where it is balancing the storage? This is a total guess… but DE is not very fast when moving files around, so if the drive pool clogs up somehow, it may not fill up the available space on your 3TB drive first when the other storage is full. It may be spending time balancing, then filling available space, then balancing, etc. So a post I saw had a guy say his system disk D: get full because I didn’t add a second disk until very late in the game. It’s not quite the same situation, but WHS didn’t decide to open up space on his system disk in favor of moving files elsewhere to wider open disks. I haven’t seen that type of error where people are referencing using multiple of these 3TB disks on places like WeGotServed and MediaSmartServer. I know some people have 2 of these sized drives in service (I only have one). My test of WHS 2011 on my “beater workstation” was OK. I wasn’t overly amazed. But Win2k8 is a better OS underneath. This post might shed a little light… the “primary landing zone” of WHS is always the primary disk (the system drive). And then the storage gets balanced. If that primary disk is full (the system drive), then I think you might see what is going on? It doesn’t really explain what you’re seeing (2TB drive vs. 3TB drive) unless Drive Extender has some internal 2TB addressable space limit. After reading this, I’m not convinced that my 3TB drive was being used much at all (it took about 90 minutes to get removed from the pool – and I have a lot of data). I’m convinced there is SOMETHING going on to prevent data being written to these 3 TB drives to a certain point. What brand / model of drive? Dang… OK, well, either I didn’t run into that issue myself, or something is wrong with the drive / drive extender. That is the same drive I have. You might try posting your experience at one of those links above and see if anyone has further experience. But I’m not certain that would help your situation. I actually just used Disk Manager (the Manage Computer, Disk Management tool) and chose the mount point in the “Change Drive Letter or Assign Mount Point” right-click option. 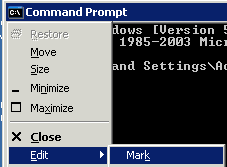 So I think that might be easier that doing the CMD prompt.